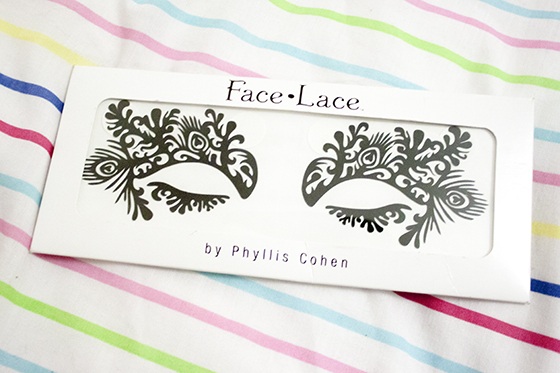 Obviously a bit different from the usual type of beauty post I'd do but I was rummaging through my beauty stash when I came across this Face Lace eye appliqués and thought what better to play with on a dreary Wednesday night. They are made out of thin vinyl with an adhesive background, application is simple as it comes with tabs which help with the placement. It literally took me around 2 minutes to apply both of them as they are really basic to apply. Face Lace is re-useable if it has been applied to clean skin without makeup and can simply just be placed straight back onto the sheet after wearing. I cant find this particular one online but they seem to retail from about £11 up to around £45. As you can see on me my eye area is relatively small so they go over my brows a bit, however I could have blocked them out or something for a more dramatic look. Cant say these are going to be an everyday use item but they sure are fun! 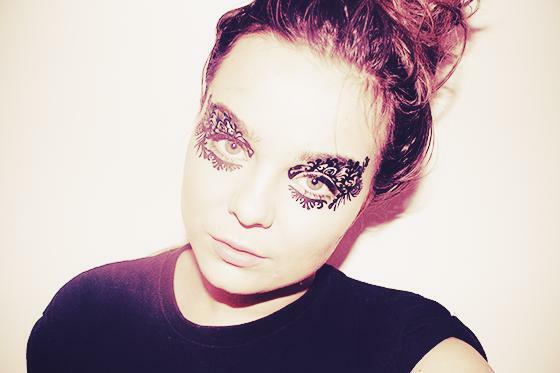 This would be good for a costume party or even on a night out if you are that way inclined!